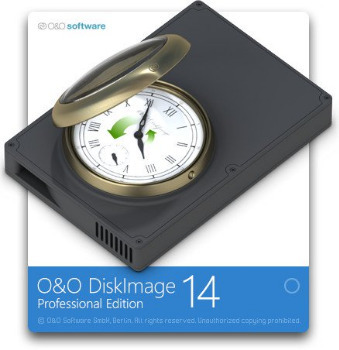 O&O DiskImage 14 lets you back up an entire computer or single files whenever you want – even while the computer is being used. In the event you should lose your personal data it can be quickly restored with just a few mouse clicks – even when Windows is no longer able to start. It also supports SSD drives and the latest UEFI System. O&O DiskImage lets you carry out a system restore and to duplicate or clone an entire PC or hard drive. You can even restore this backup onto a computer whose hardware is different from the original machine, for instance, where you have changed a motherboard on the target machine or have bought a brand new PC and want to restore an old backup onto it. O&O DiskImage can bring a system back to life immediately, and with no installation required. It does so by way of a Boot Medium (USB Stick or CD/DVD) which is based on current installed Windows system and which contains all standard drivers. NEW: DiskImageTo Go! With DiskImage To Go you can now create your rescue boot medium with an image of your drive or PC included. This means that when anything goes wrong or you need to transfer your system to new hardware, you can restore your previous drive or system setup with just one button. NEW: Support for VHDX (Virtual Hard Disk Format) to further enhance the options for virtual environments! The main advantage of VHDX is its increased storage capacity of 64 TB (terabytes), instead of VHD’s standard storage limit of 2 TB. Another advantage of VHDX is the file corruption protection.